The data has been gathered and, considering we are still four full days from the start of the storm, this is my best estimate of the likelihood of blizzard conditions (6" or more of snow with wind gusts of 40 mph or higher) this weekend. I'm going out on this limb to try to allow people to make plans to avoid the storm. 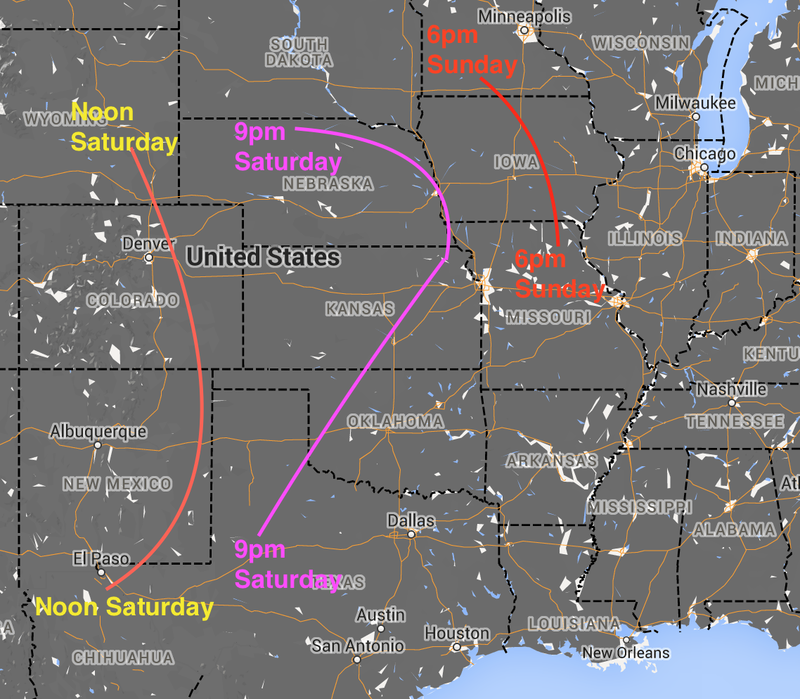 This forecast goes to 11:59pm Sunday, so I am making no forecast (yet) northeast of the dashed line across South Dakota through northern Iowa. 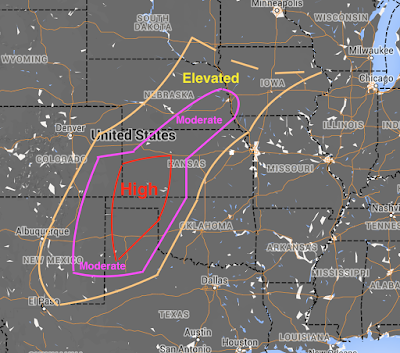 It is possible blizzard conditions may occur outside of the outlined area, I'm trying to convey the enhanced risk areas at this point. Winds may gust above 50 mph in some areas, especially southwest Kansas, the Oklahoma Panhandle and the northern Texas Panhandle. This map conveys -- in a general way -- when I'm forecasting snow to begin. I recommend you keep an eye on the AccuWeather specific forecast for your location as the storm gets closer in time. All you do is put in the Zip Code of interest at the top and it will give you the forecast for your specific area. 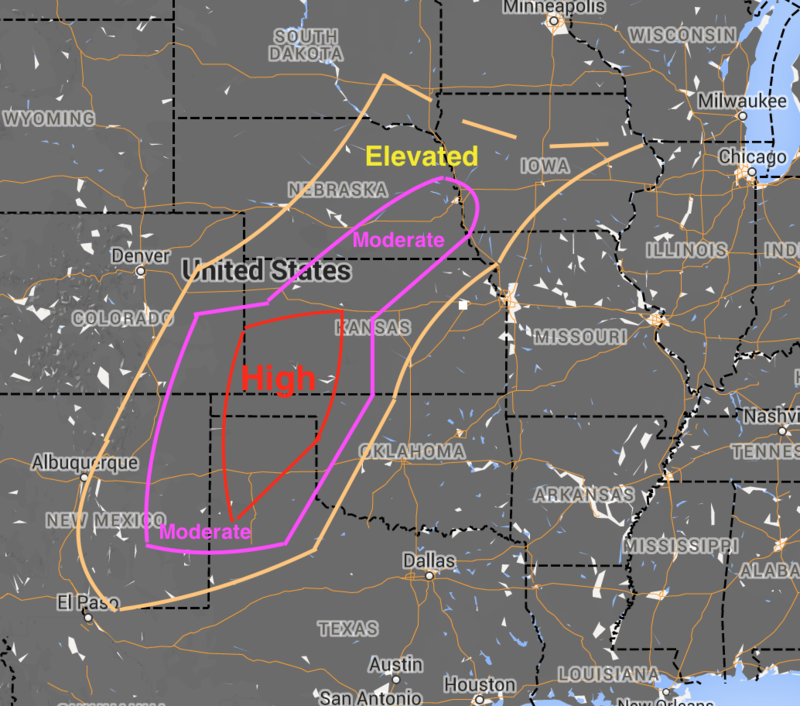 I will update the winter storm outlook again Wednesday afternoon along with providing updates with regard to the tornado and severe thunderstorm risk in the Southeast. If you like what you are reading on this blog, you will love reading my book on how meteorologists create these storm warnings and save lives.